The Epiphone Dot sits on the lower end of Epiphone's lineup of semi-hollowbodies. 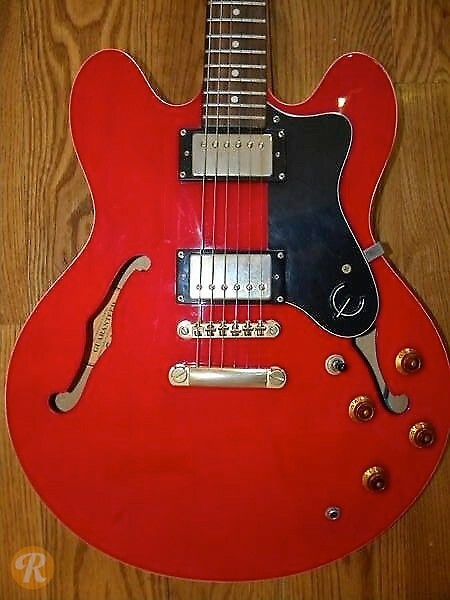 Modeled after the Gibson ES-335, the Dot features two humbuckers and, as the name implies, dot inlays. 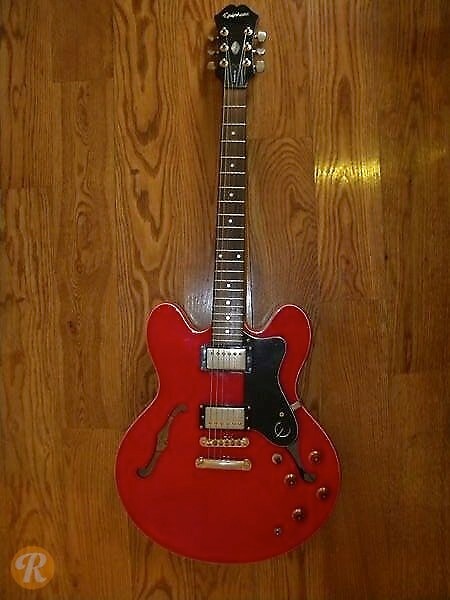 Since its launch, the Dot has been a popular choice for players looking for semi-hollowbody tone on a budget. Earlier examples from the '90s were made in Korea and are usually more sought-after than newer models.